If your dog appears to have separation anxiety, please head to my separation anxiety page to fill out the specific form. Before contacting me, do you have any of the following questions? Which class is best for my dog and how much does it cost? To view class details, please head over to my classes page where class information is displayed in detail. Both class locations have their own page listing upcoming classes (follow the appropriate link on the right hand side of this page). If you don’t see the class you’re looking for on the page, there isn’t one on the schedule for the near future. Being a sole operator of this business, there are only so many classes I can teach in a week so space is limited. Checking back every so often is recommended to ensure you get a spot! The initial consultation costs $95 and lasts one hour. Since I do not have a facility, the consultation takes place in your home. During the appointment, we will discuss history, goals, recommendations, come up with a plan, and get started on training where it is possible. The consultation is then followed up with a written summary and supporting documents to help with training. You can book a consultation by heading over to my schedule an appointment page. Packages are available and can be viewed on the in-home training page. I am currently teaching classes in Lakeville and Northfield. Private training is offered in Lakeville, Northfield, and the cities/towns immediately surrounding those cities. Anything outside of those locations will either have an additional travel fee, be referred out, or can be done remotely, via online consulting. 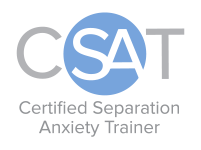 Separation anxiety training is all done via online consulting so I’m able to work you no matter your location. Your information will not be sold. It will only be added to the list of recipients who want to receive emails about deals as they are released. Thank you for your inquiry! Because of the number of inquiries I’ve been receiving lately, expect to receive a reply within the week. I appreciate your patience and look forward to connecting with you.